Admob High CPC Aia File Shayari App | Admob Aia File Shayari App 2019 - So, Guys, I am Back with another High CPC Aia File of Admob or Applovin. This Aia File can be used for both Ads Network that is Applovin and Admob. And also you can place ads of any different network like Startapp, Adcolony, etc. This app is regarding the most used Messaging app in the world that is Whatsapp. So, therefore, I decide to make app related to Whatsapp. Therefore this Aia File contains Whatsapp Status Aia File. When you Open AdmobHigh CPC Aia File 2019 app you will see two option Attitude and Love. So it means there are two categories of WhatsApp Status first is Attitude Status and Second is Love Status. As per your Choice you can click on any option, If you select Love option that means you are in love Just kidding. 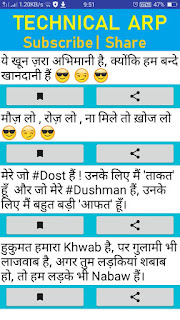 Now there is some Love related Shayari status and after each Shayari, you can see two option Copy and Share button. 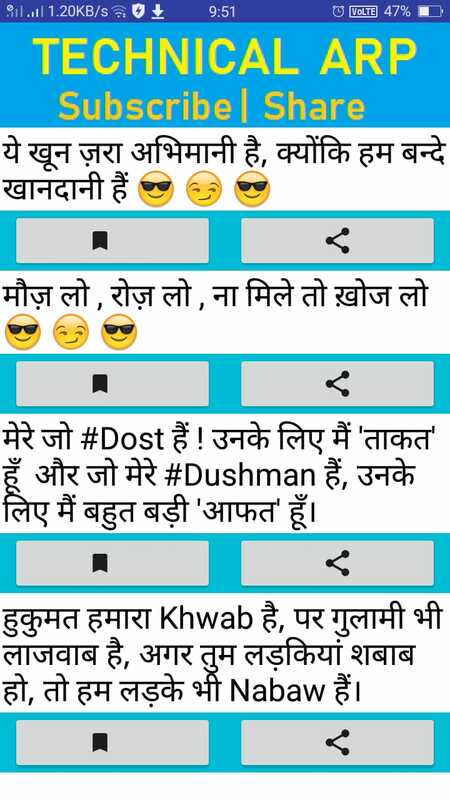 If you loved any Status or Shayari just copy that by clicking on the copy button. And Share with your friends and set your status. Or simply click on the share button to share directly. Now in Admob High CPC Aia File or Admob Aia File Shayari App 2019 where is our Earning point, how can I earn from Admob high CPC Aia File? So Answer is In this Aia File there will be Admob Interstitial Ads which will come in Every 30 Seconds. Therefore when any reader will read Status or Shayari from an app and try to copy it suddenly Ad appear. By this, you will get Click instantly. To Make your App from our Aia you need Copy Extension Click here. So This is all about Our Admob high CPC Aia File 2019. Also, you can also join for group earning using this app by any Ad Network like Applovin, StartApp, Adcolony, etc.